Since Speedmonkey was founded in 2012 we've amassed more than 2.2 million views on the site, but our social media reach is growing too. 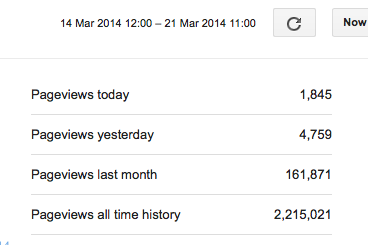 The main website achieves over 4,000 views every single day, including weekends, with an average 5,200 per day. If you take a look at our monthly viewing figures it works out at just over 37,000 per week. The @speedmonkeycouk Twitter account has 3,926 followers. A recent insight from Twitter showed we reach 58,000 people a week. The Speedmonkey Facebook page has 566 likes. The insight summary reckons we reach 35,383 people a week. 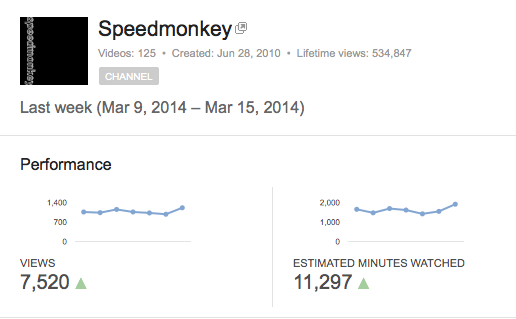 The Speedmonkey YouTube channel has a total of 534,387 views and in the last week reached 7,520 viewers. So across all mediums Speedmonkey reaches almost 138,000 people every week. Not bad for a blog. Thanks to everyone who reads and watches our stuff and interacts with us across all channels.